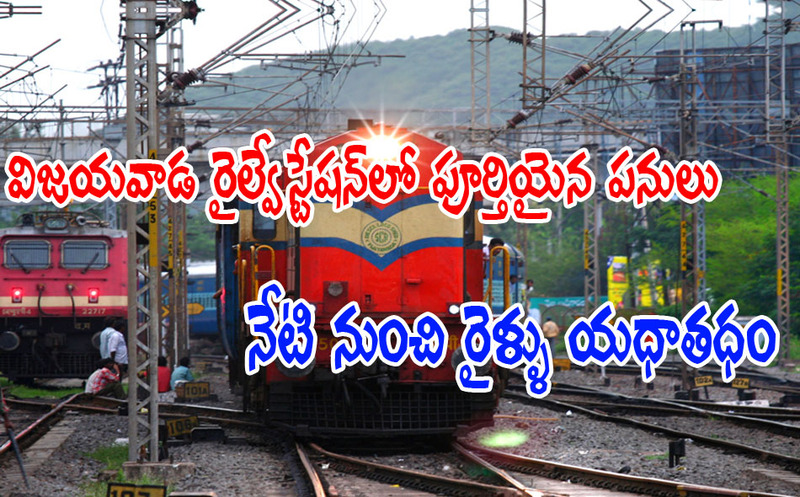 Work on replacing the Route Relay Interlocking (RRI) System has been completed at Vijayawada railway junction. The works are completed before the stipulated time. The old signalling systems on all the platforms are removed, and now all the 10 platforms can receive the trains at a time, due to this inter-locking signalling system. Now passengers would not get the problem of halting the trains at the city outskirts. With this inter-locking signalling system, the drivers will get prior message about the vacant platforms, and the train can go to any of the 10 platforms, according to the vacancy. Also 24 Coaches trains used to come on only platform numbers 1,6, and 7. After these works, all the 10 platforms can take these trains. Almost 1000 railway workers, and 1500 contract labour has participated in the works round the clock and completed a day before the schedule. Railway Minister Suresh Prabhu will formally launch these services in October first week, though these are coming to operational from today.